Connected Lights’ EnLighten app lets drivers know if a red light is coming up. 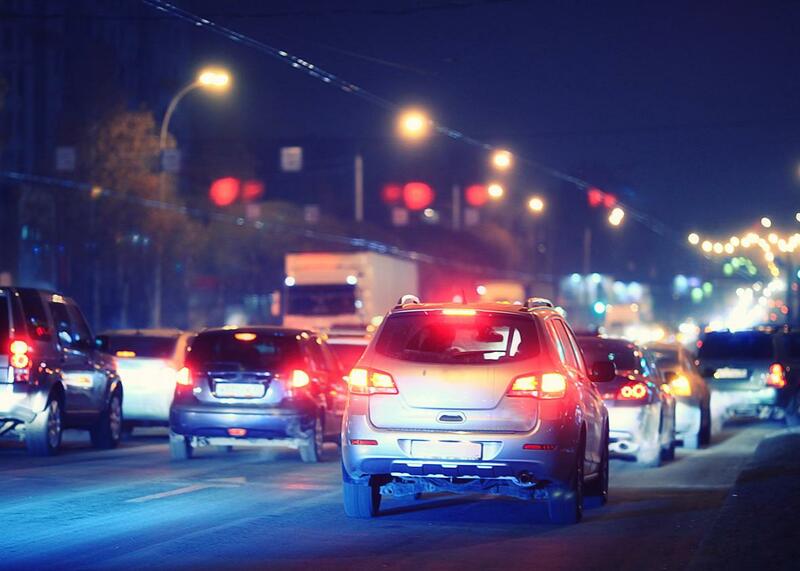 EnLighten aims to cut fuel waste by letting drivers know what traffic signals are coming. There is one BMW dealership in Eugene, Oregon, but it never seemed like a BMW town to me. Though I haven’t been back in years, I remember it as a sleepy place, a haven for recovering hippies. The tech press enthusiastically embraced the integration of these two products, and more mainstream outlets followed closely behind. It’s easy to see why: On the one hand, the product feels like a fascinating demonstration of cutting-edge tech. On the other, it’s easy to winkingly mock it, not least of all because it feels like an item that’s fancy for fanciness’ sake. Engadget, for example, refers to it as “the definition of a luxury feature,” since you need a new BMW with specific capabilities, as well as an iPhone, just to use it. There’s something almost silly about the app’s finite scope, especially given how widely ballyhooed it’s been. On first pass, it seems more like a PR triumph than a technological one. But to speak of it in these terms would do a disservice to the real goals of those who developed it and to the BMW engineers who pushed for its inclusion in their company’s vehicles. For them, EnLighten isn’t just about giving some drivers an advantage; it’s about reducing fuel consumption and otherwise easing the environmental impact of driving. Ultimately, understanding EnLighten’s limitations reveals just how difficult it can be to pursue meaningful change on a large scale. It was energy savings that Matt Ginsberg, Connected Signals’ CEO, stressed most when I called him to speak about the app. As Jeff Gonder—a researcher whom Ginsberg pointed me toward—and his colleagues at the National Renewable Energy Laboratory have shown, eliminating or minimizing stop-and-go driving can result in significant energy savings, even under less-than-optimal driving conditions. Truly ideal driving behaviors would enable “fuel savings of over 30 percent,” though as Gonder hastens to note, such conditions “would in reality only be achievable through automated control of vehicles and traffic flow.” Still, he told me in an email, “double-digit fuel savings” are not implausible. It’s also a good that requires a great deal of minute work, literally local on every level. To ensure proper synchronization, many coordinated traffic light systems relay data to and from a central controller. It’s these controllers, which are often connected to the Internet, that feed Connected Signals the information that it uses in its app. But as Gonder told me, when his company first receives the data, it’s “relatively dirty.” In order to make sense of the mess, Connected Signals has to mathematically model every light in its system. While Gonder stressed that this process “isn’t incremental,” it still speaks to the surprising complexities that underlie apps like EnLighten. Simply bringing an object like a traffic light online doesn’t automatically make it accessible. EnLighten’s seemingly scant coverage is also a consequence of the difficulty of accessing traffic light systems in the first place. Gonder estimates that there are something like 300,000 connected traffic lights worldwide (he did not mention how he had come by this figure) and that his company gets “data from about 10,000” of them. Because traffic coordination information isn’t publicly available, companies like Connected Signals have to make a case to the municipalities that control it. This means that much of Ginsberg’s job involves “political grunt work.” Some cities are apparently still reluctant to let companies use information from light systems in commercial products, but Ginsberg hopes that proposed future studies by organizations such as NREL will help convince them. Ultimately, EnLighten—or other apps like it—will probably reach far beyond BMW. Indeed, Andreas Winckler, a BMW engineer who helped push the collaboration forward in its early stages, told me he thinks it may be “a pilot project for the industry.” Pointing to a research project about traffic signal control that his company conducted with the U.S. Federal Highway Administration, Winckler observed that this technology will become more effective as it’s integrated into more vehicles. If and as Connected Signals’ work becomes more standard, it may play a meaningful role in the development of other technologies. Automated vehicles, for example, could benefit from more direct integration with technological infrastructure, since it will allow them to anticipate road conditions before they come into camera range. These goals imply a great deal of work still ahead—municipal outreach, infrastructural development, software advancements, and so on. This is work that’s unlikely to set the Internet aflame in the way that the EnLighten-BMW pairing did. Nevertheless, when the first flush of journalistic enthusiasm wears off, the projects that empowered it will keep trudging along. Small as it seems, EnLighten is an important reminder that we make our future from fragments and build it in pieces and parts.